Howard University Alumni Club of Greater Washington, DC – Welcome to HUAC GWDC! Join HUAC GWDC on Monday, April 22, at 6:30 pm in Founder's Library Browsing room. We will hear from the Alumni Trustee Candidates, the HUSA President and Concerned Students 1867 Leader, as well as the Harlem Fine Arts Show President, Dion Clark. Howard faculty, staff, and alumni will address incoming students' questions and concerns in addition to providing invaluable information that will guide them through a successful transition from high school to University. "During your visit, you will learn about the numerous opportunities and resources available to you from our students, faculty, staff, and alumni." Join us on Friday, April 19th at 10am and help our new students take the next steps to becoming Bison! Purchase your HUAC GWDC License Plate! HUAC GWDC members that reside in the District of Columbia may purchase organizational license plate tags. The tag costs $100. Members must be in good financial standing with HUAC GWDC and HUAA. Contact us for more information. Please consider joining and/or renewing your membership while assisting us in our quest to register 150 members for the sesquicentennial anniversary. Each HUAC GWDC member is asked to sign up two new people as members. We can do this together! The time is now. Register today at http://www.dcbison.org/join-huaa/. 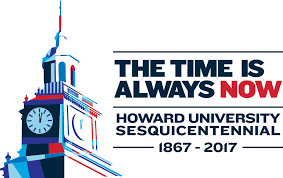 View Howard University's digital historical timeline to honor and celebrate Howard’s 150 years of “Excellence in Truth and Service.” View the Sesquicentennial Timeline at: 150.howard.edu/howard-1867-present. Support our students by donating to the Bridge the Gap Campaign. Monthly meetings are held on the 4th Monday of the month (excluding Dec), 7:00 PM, on campus . 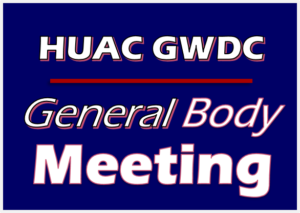 View the HUAC GWDC Newsletter! Celebrating our legacy and spirit with fellow Howard University alumni, students, and friends. Serving the Howard University and surrounding community through mentorship, volunteerism, and financial donations. Awarding scholarships to Howard University undergraduate and graduate students. HUAC GWDC continues a more than 50-year tradition of supporting the University’s mission and goals, supporting Howard University students, and serving the greater Washington, DC community.